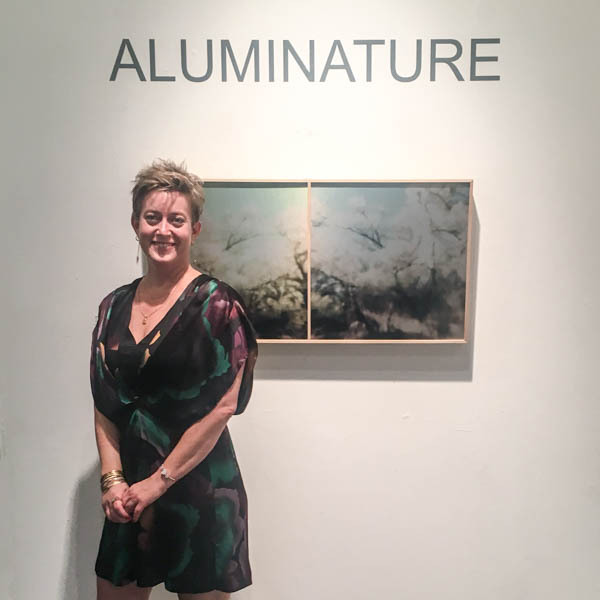 ALUMINATURE is an exhibition that featured recent and current work, using the natural environment as a subject while incorporating aluminum as a substrate. In my art practice, I reference the photographic past in my present explorations with the landscape. 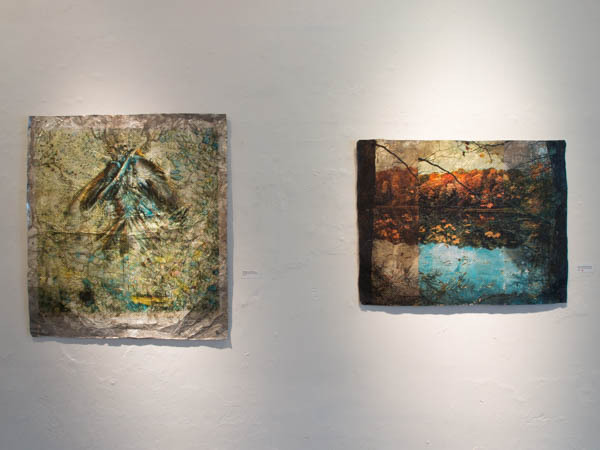 Identity, my connection with the natural environment, nostalgia, and an obsession with symbolism are all present in this exhibition. Bewilderbeast (left) and Back with Butterfly Wings from LUMINIFEROUS. 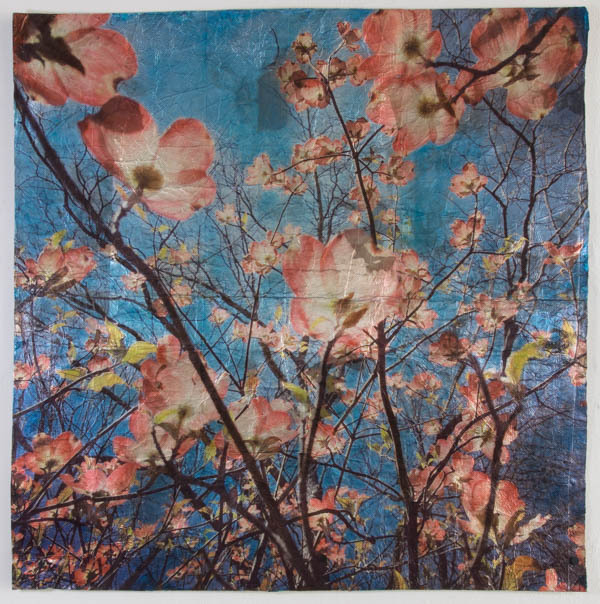 Earliest works from Alt-Country and ATTEMPTING UTOPIA, romanticize the unknown in both near and far away lands through dye sublimation printing onto clear aluminum. The raw surface comes to life under proper lighting and changes as one moves around it, representing the inevitable while instilling the inability to look away. 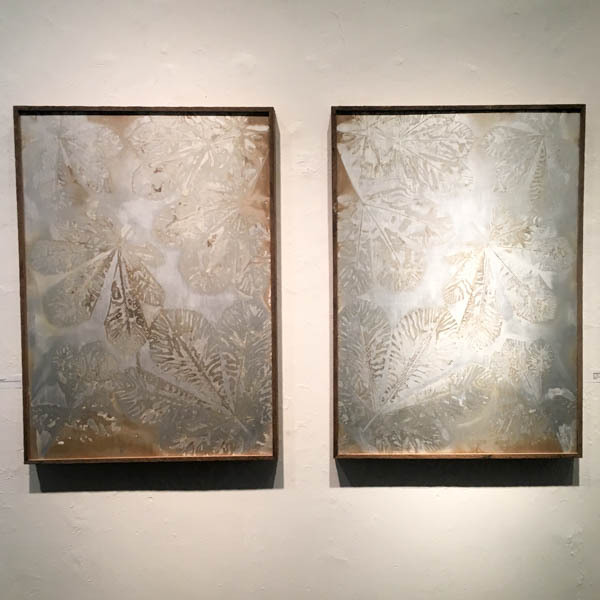 LUMINIFEROUS: ADVENTURES IN METAL follows from desire to continue working with a reflective surface while maintaining a hands-on approach in processing digital imagery through the use of digital image transfers. Using extra heavy duty aluminum foil purposefully distressed in a dishwasher, images are transferred onto large custom-made substrates that reference photographic plates used in creating tintypes, another 19th century process of direct positives on thin sheets of metal. phyto- + -graphy discards the lens entirely and documents procured plant specimens without a camera when aging aluminum plates with a slow development, solar cooking process. The work references both photograms of botanical specimens used as scientific illustrations and visions from the collective unconscious. The evidence that people are drawn to shiny things is all around us: from shimmery advertisements in magazines and automobiles ads to glimmering gold iPhones. 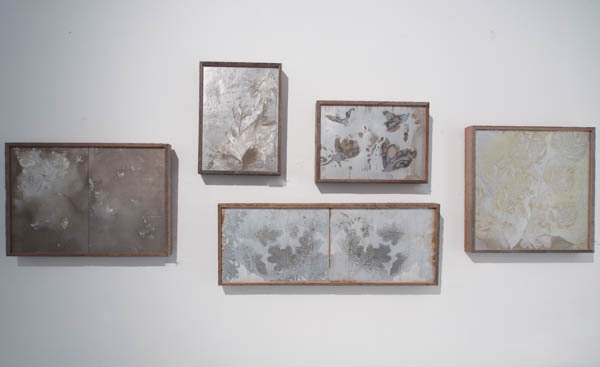 The use of aluminum purposefully attracts the viewer, inviting their engagement to the phenomena of the natural world, with the hope that appreciation of the work ultimately translates to the appreciation and protection of the natural environment. 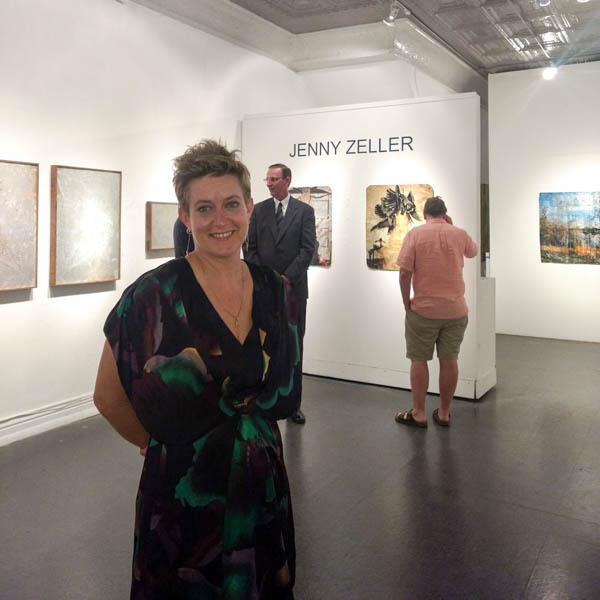 ALUMINATURE was a featured exhibition in the 2017 Louisville Photo Biennial, a regional festival occurring in over 60 venues throughout Louisville, Lexington and Southern Indiana celebrating artistic excellence in this rich and diverse medium. 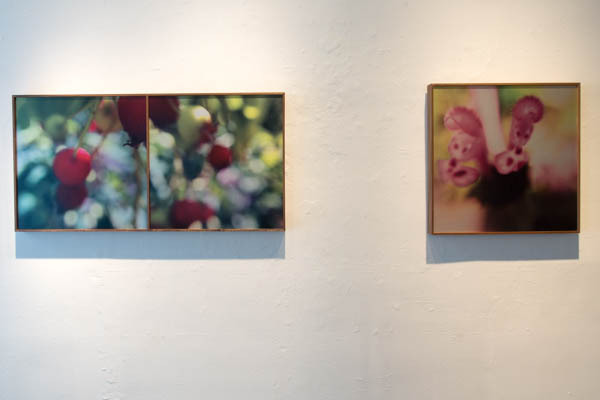 The Photo Biennial represents a cooperative effort among local museums, galleries, universities and other public venues to give viewers the opportunity to learn about and to appreciate photography.